Three Perfect Days is an accommodation portal which lists thousands of establishments around South Africa and through a simple intuitive interface, helps you easily find your perfect weekend getaway. eg. "Knysna" or "Hotels in Cape Town"
"The rooms are simple but the bed very comfortable and with excellent pillow and duvets. LArge bathroom, tiny TV..."
"The management have really thought of every detail to make one's stay at Absolute Bosch very comfortable. The ..."
"the place is great but there were no towels yet the beach is a stone throw away,bathroom essentials as well we..."
"Made to feel very welcome and very comfortable." 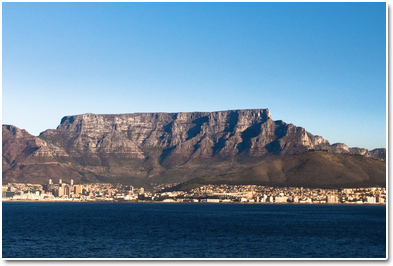 The mother city of South Africa is located at the tip of the African continent and its iconic Table Mountain has recently been inaugurated as one of the new 7 Wonders of Nature. The view from the top of the mountain, which is accessible via cable car or hiking, has been described as "one of the most epic views in Africa".